Christopher Aiden-Lee Jackson researches the Earth’s structure. In his opinion, scientists have to care more about informing their findings to policymakers. Why do you care about impact? It is quite important to understand some aspects of geology to give us the insights of how the earth has evolutioned throughout times, what happened to climate and thus predict how it will change in future. This is one reason why I care about impact. Another one – a lot of the work we do is related to the oil industry. So we help them to find solutions that make this work more efficient and safe. How should scientific impact be measured in future? Historically, we’ve been sort of obsessed by general impact factors and we’ve been thinking mostly about citation metrics; this was something more of a quantitative view of impact. So, we are only measuring that impact in terms of how much other scientists like our work or not and whether they cite our paper. In reality, we know that citation trends are not really representative of the quality of papers. In my opinion, we might have to go away from a simply academic definition of impact to something which is more qualitative. We have to find a way to measure the impact of science on real policies, on governmental behavior and similar processes. Surely, this is harder to measure and you cannot just put a number of 3.145 like the general impact factor, for instance. What we’re relying on here is more of a certain indication of whether a piece of research influenced the behavior of another scientist or impacted a policy decision. And I think it is good because the reason we do science is not just to be accountable to our fellow scientists, but to make the world a better place and to make a material contribution to humankind. Having the classic academic metrics is probably not sufficient anymore. How can a scientist reach out to policymakers? We need to do a better job in translating the relevant details, meaning translating the science into a language which is pertinent to those people who make a decision. Only if this is given politicians will be willing to change their steps and include scientific finding into their policies. The so-called “translation” should be done by scientists, and at the moment we’re not good in it. We use our work in academic circles where we have a certain language and certain style of communication. Some of us even claim they do research because they enjoy it and it doesn’t matter whether somebody cares about that. We’ve got to try to break this and be a bit more outward looking. This works also for politicians. We’ve heard for example during the discussions about Brexit that nobody cares about experts anymore. Politicians need to recognize the value of research that they’ve funded. 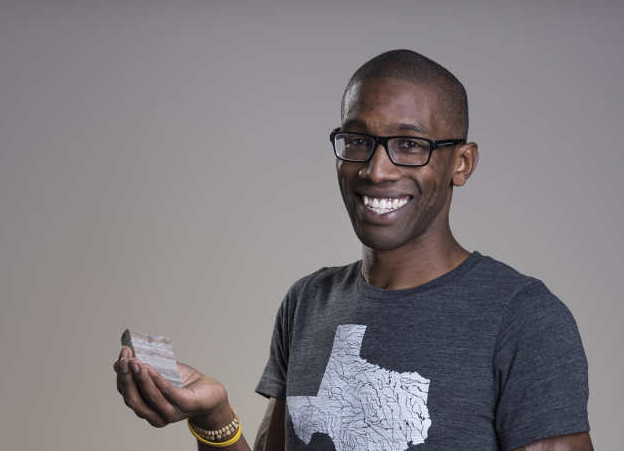 Christopher Aiden-Lee Jackson is a scientist at Imperial College London and researches the Earth’s structure, landscape, and its evolution. In his opinion, scientists have to care more about informing their findings to policymakers. He also argues that classic academic metrics are an insufficient way of measuring scientific impact. Instead, the research community should adopt more of a qualitative approach to identify whether findings induced a societal change.